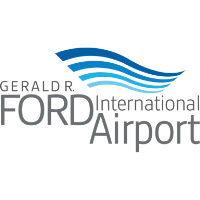 State and local officials joined executives from Allegiant Travel Company (NASDAQ: ALGT) today as the company announced plans to establish a two-aircraft base at Gerald R. Ford International Airport in Grand Rapids, Michigan. Allegiant's growth plans in the state include creating at least 66 new, high-wage jobs. As part of today’s presentation, the company also announced service to two new cities – Nashville, Tennessee and Savannah, Georgia. Recently ranked among the nation’s fastest growing economies and best places to start a business, the Grand Rapids area is currently experiencing an unprecedented surge in capital development. Home to world-renowned art, museums and historic sites, as well as recreation opportunities from golf to beaches, the region is also increasingly drawing visitors to its vibrant downtowns and unique neighborhoods. Allegiant began operating at Gerald R. Ford International Airport in 2009 and with today’s announcement now offers nine non-stop routes – to Las Vegas; Phoenix/Mesa, Arizona; to five cities in Florida: Tampa/St. Pete, Punta Gorda/Fort Myers, Fort Lauderdale, Orlando/Sanford and Sarasota/Bradenton; and seasonal service to Nashville and Savannah beginning in June. Allegiant currently carries more than 300,000 annual passengers through Grand Rapids. Allegiant, which employs more than 4,000 team members across the U.S., plans to immediately begin hiring pilots, flight attendants, mechanics and ground personnel to support the operations. The majority of the new positions are expected to offer salaries that are more than double the state’s average wage. Interested applicants may apply online.